GULLCO International is a manufacturer and distributor of Welding Carriages, Plate Beveling Machines, Weld Ovens and other solutions to automate welding and cutting applications. 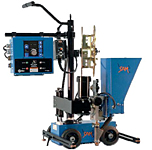 Gullco's weld automation equipment improves weld quality and increases productivity while helping to reduce cost by eliminating weld stops/starts, over welding, increasing arc-on-time and decreasing unnecessary re-work. Gullco International serves the entire world market through its companies in Canada, United States, United Kingdom, India, Australia, and China as well as its strong world wide distributor network with high quality automatic welding machines for welding and cutting applications. 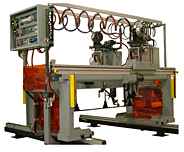 Gullco International is engaged in a continuous research and development program to provide weld automation equipment and systems geared to the fast changing needs of the welding industry. KAT®, Moggy®, SAM®, KBM® and KATBAK® are registered trademarks of Gullco Enterprises Limited.